QUESTION: Global cooling….you talk a lot about global cooling in the colder winter this year. But what effect does it have on the future summer temperatures and growing of crops? ANSWER: This type of climate change has the potential to be very profound. 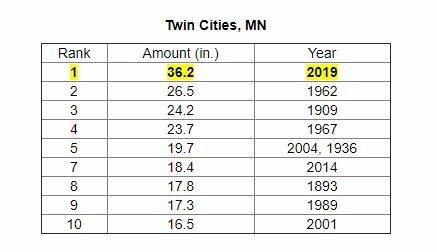 2019 is already setting new records for cold and snowfall. In the center of the USA, the snowfall has risen to more than double that of 2000. There are many influences it has produced historically and the summer crop seasons grow shorter and dryer. Historically, this results in starvation in some areas but primarily malnutrition. That sets the stage for the rise of disease and plagues. The Black Death was preceded by the Wolf Global Cooling where temperatures dropped by nearly 20% from the Medieval Warming period. As temperatures decline, the crop cycle shortens. In fact, so many people died during the 1300s that this brought an end to feudalism because there was a shortage of labor. The Little Ice Age followed the Wolf Global Cooling. 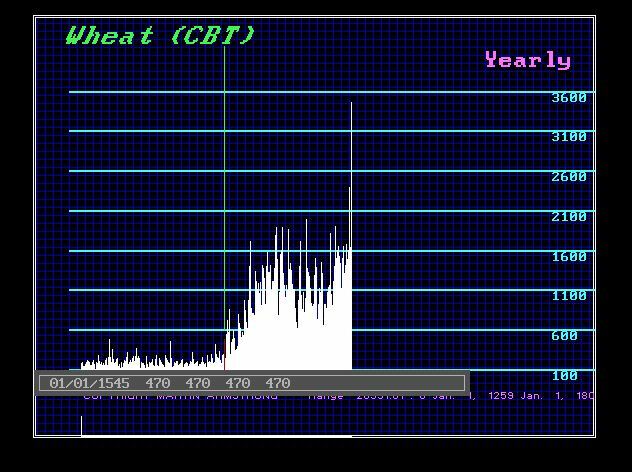 We can see that the price of wheat began to break out in 1545. Keep in mind that our model was created by pulling in everything we could get our hands on and correlating the entire world. When our model is showing Global Cooling and a pending bull market in the price of food, it is something rather important enough to put on the agenda. During the 1700s, even Thomas Jefferson and John Adams commented on how the ground froze to a depth of 2 feet. Nothing will grow under such conditions.